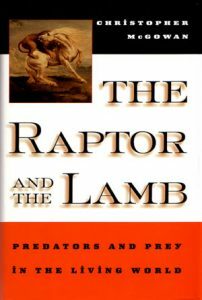 The Raptor and the lamb: predators and prey in the living world. WAS $37.50. 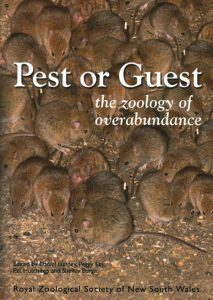 In “The Raptor and the Lamb”, his sixth and finest book, Dr. Christopher McGowan takes the reader on a guided tour of predator-prey relationships from the very different but often overlapping worlds of mammals, birds, fish, reptiles, plants, insects, and microorganisms, as well as from the fossilized record of the dinosaurs. 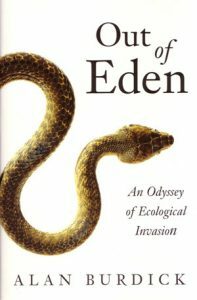 We learn, in every instance, not only about the intricacies of interdependence in the vast chain of being, but also about the astonishing adaptability that is inherent in nature, whether the drama be played out on the African Plains, in the depths of the ocean, or in the familiar confines of our own backyard.